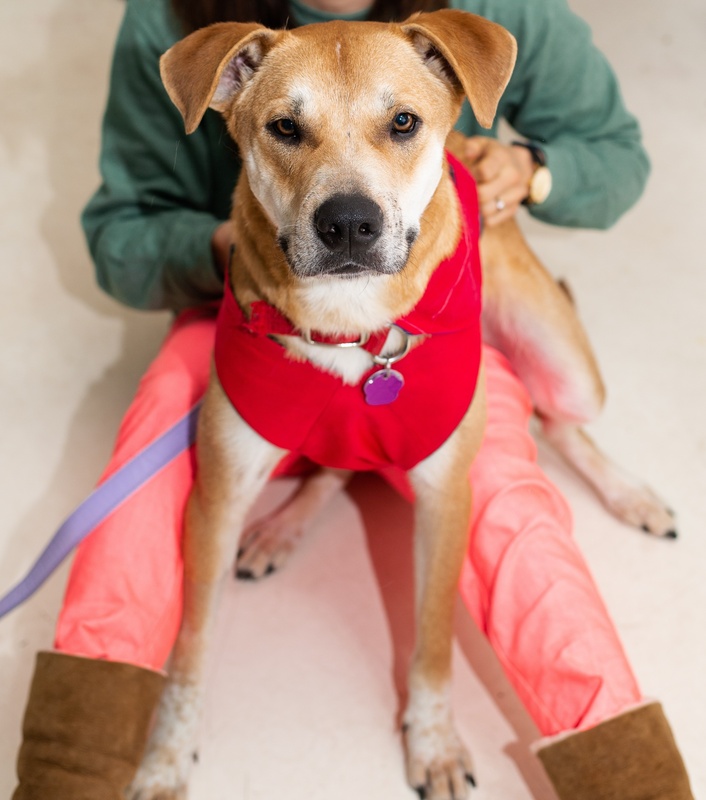 Swayze is so loving, sweet, affectionate and easygoing! He adores cuddles and will sit on your lap. He can’t get enough of his foster parents’ belly rubs and pets. He loves his human companions! We are working on house training and crate training and he’s been making great progress! He’s so eager to please and is super responsive to treats and food. He’s such a bright pup who loves to be occupied with Kongs. He also simply loves to sleep, whether it’s on the floor, in his bed, or on our laps. It’s amazing how quickly he can fall asleep in any position! 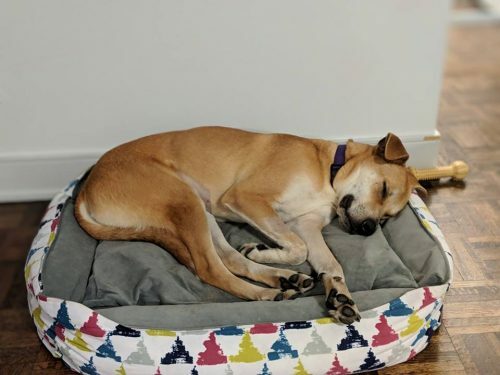 Swayze is such an affectionate sweetheart and will be a wonderful addition to an active and loving family that do not have any other dogs.